Sleeq is a clean MyBB theme with an animated header packed full of potential. Helps with finding and cleaning faulty PHP files that have BOM or redundant whitespace and may cause MyBB problems such as broken captcha image. 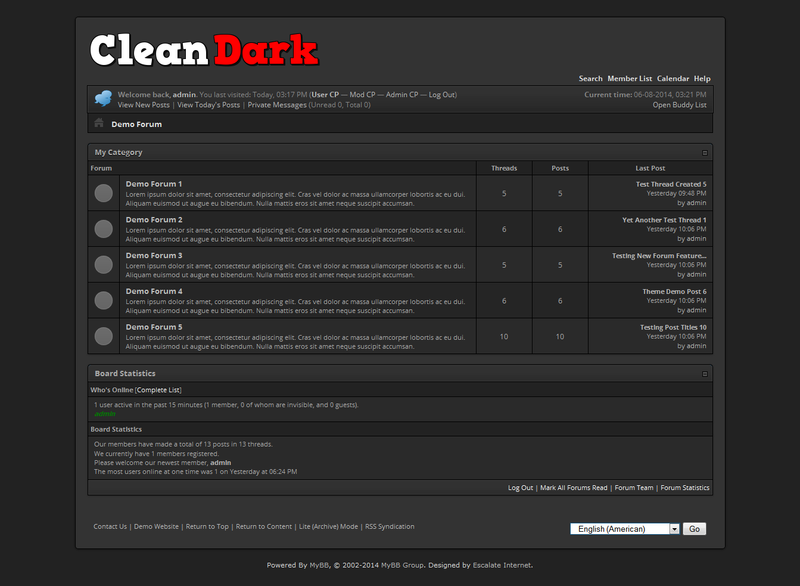 It&apos;s simple and clean MyBB Theme, feel free to use it. A nice looking version of defult MyBB theme, created for a Polish Minecraft server board.